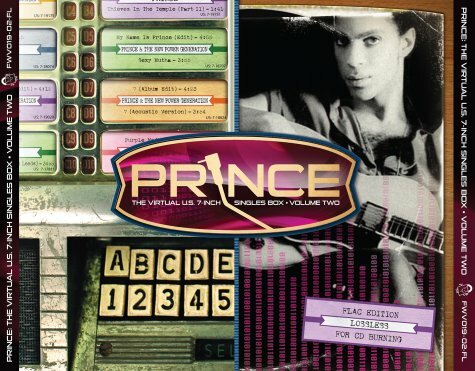 From the Fun With Vinyl Website: "While putting the Fun With Vinyl series together and doing research on it, I took an interest in putting together a complete set of singles released by Prince, spanning his entire career. Of course, if you have ever researched the single releases by Prince you know that you will eventually find yourself going off on a tangent here, a tangent there, never really accomplishing anything because there are just so many commercial releases, promotional releases, a slightly different release in this country vice that country, an edit here, a different edit there and it just goes on and on and on. So, I decided to set some boundaries and come up with a particular slice of those releases that could be completed and be definitive without needing to be updated in years to come. So, here are my parameters… Concentrate only on releases from the United States, only include singles that were released on vinyl, those singles would only be 7 Inch/45RPM releases and, finally, only commercially available releases would be considered. This box set is being released in two 4CD volumes. Volume 1 covers the years 1978-1987, ‘For You’ through ‘Sign ‘O’ The Times’. Volume 2 picks up from there and goes from 1988-1995, ‘Lovesexy’ through ‘The Gold Experience’. 1995 saw the last release of a mass-produced, commercially available 7 Inch/45RPM records bearing Prince’s name and thus ended an era. Vinyl has made a comeback in recent years but, I don’t think the 7 Inch/45RPM single will ever be mass produced in the way it was prior to the development of the Compact Disc. “Singles” are now available all over the internet from iTunes to Amazon to your favorite P2P or torrent site. It will never be economically viable for record companies to mass produce these little vinyl nuggets ever again. Once again, all kudos for the artwork go to squirrelgrease. Another professional job on the artwork. Thanks, also, to an anonymous donor of some lossless digital rips from some CDs that I didn’t have… Research sources: MoQuake (since closed) and Sleevographia. Volume 1 was released a week ago and now, here’s Volume 2. The Virtual U.S. 7 Inch Singles Box has been compiled from various sources, official vinyl, official CD and unofficial CD. Digital sources were given top priority and vinyl sources were used only if a digital source had never been available. No “remastering” or tweaking has been done on any of these tracks, they are direct rips from original sources and have been converted to a lossless format. The FLAC files were converted using dbPoweramp and were compressed using Compression Level 5 (Default) option.